Chef Vikas Khanna is an award winning Michelin starred Indian chef, restaurateur, and cookbook writer, filmmaker, humanitarian and the host of the TV show MasterChef India (season 2), Season 3 and Masterchef Junior. Vikas was awarded a Michelin Star for his restaurant “Junoon” at New York by Michelin Guide. Chef Vikas Khanna is a well-known personality for most of the people in Food & Beverage industry. 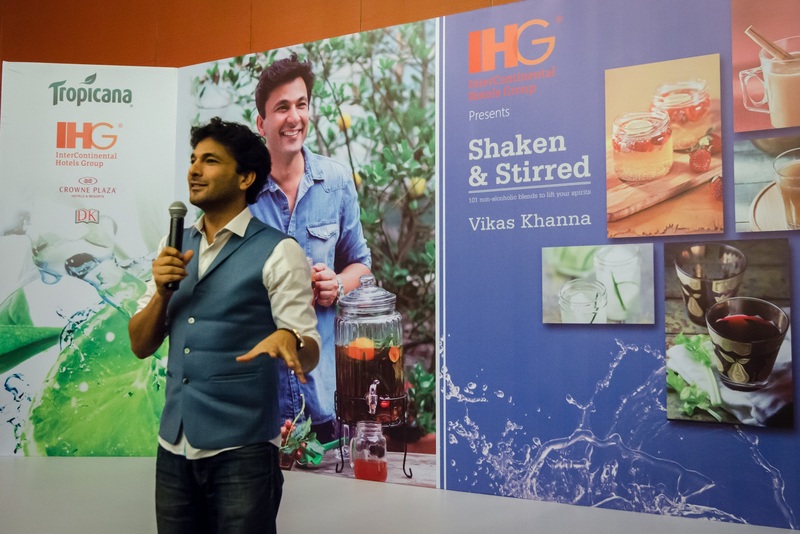 On 18th July 2015, Michelin Chef Vikas Khanna divulged his book, ‘Shaken and Stirred’ at Crowne Plaza Hotel in Bangalore. I was invited for this prestigious book launch and it was an indeed great evening with fellow foodies & Vikas Khanna. 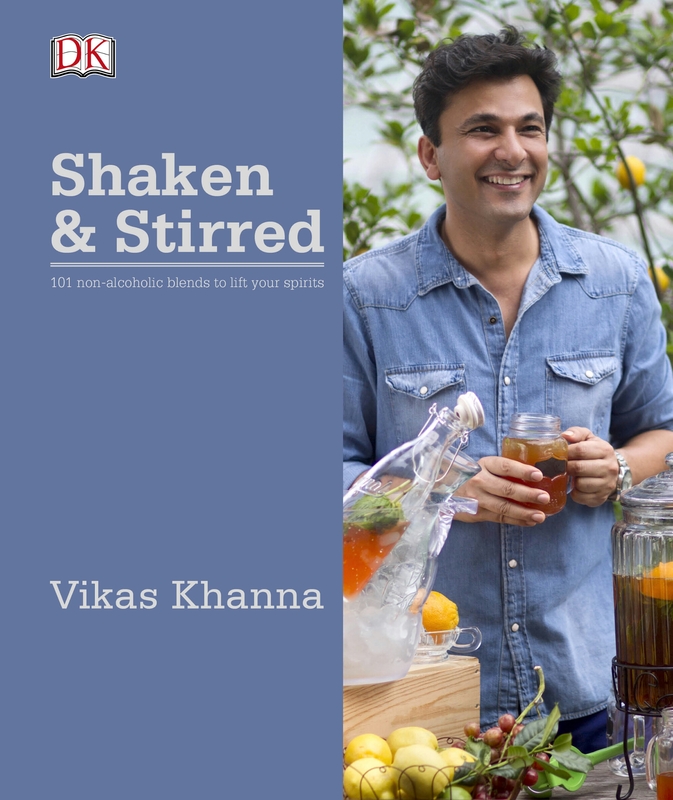 Chef Vikas has written this book, choosing a glamorous collection of 101 virgin drinks, including some timeless classics and exciting modern recipes which will help people to create drinks for any event. Shaken & Stirred is seamlessly timed to rejoice the Indian summer. It brings along a new flavor of taste, new ways to serve the family and friends while leaving room to vitrine specific inventiveness. At the launch event, Crowne Plaza hosted a dazzling consolidation of fashion, music, food and virgin drinks. It was an enjoyable evening with guests getting their books signed by the author himself. Raising the tempo of the evening further, Chef did a blind tasting with select guests and asked them to guess the flavors in their refreshing drinks. The idea of Shaken and Stirred evolved owing to dissatisfaction of customers towards wine or whisky in combination with meals. Moreover, the mocktails also were boring sometimes. Hence, to restore the taste he came up with the book bearing tasty recipes formed blending natural elements with drinks. Now, it’s time for me to go ahead and try out these recipes every day at home with whole family members. I am thoroughly happy to have personally signed copy of “Shaken and Stirred” book by Chef Vikas Khanna.